Trans-trax: What´s in a name? This is a name. 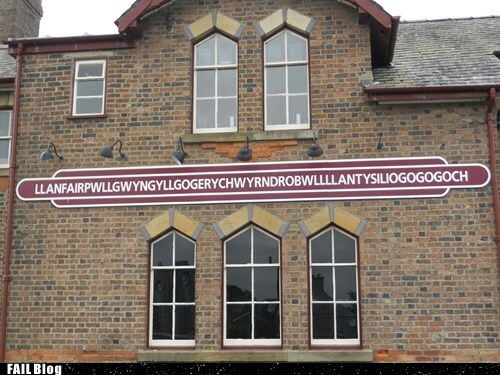 It is the name of a village in Anglesey ("Ynys Mon") which has nothing of note except for its name, which is the longest official place name in the UK and Europe. The picture is of the rail station on the North Wales line from Chester to Holyhead , just across the Menai Straits from Bangor. In the 1960s the station closures ("The Beeching Cuts") meant that the island (except for Holyhead) would have been left with no stations. However, because of popular appeal the station remained open as a tourist attraction. Such is the power of a name. In fact it was while looking at videos of British Railways that I thought of the significance of names, how evocative they can be. Those that remember the old railway companies or are interested in them will tend to think of the resulting Big Four companies after the regrouping of 1923. -The London North Eastern Railway - always to be associated with the Mallard and its 126 mph speed record for steam engines in July 1938. -The London Midland and Scottish Railway - associated with the expresses to Scotland (in competition with the LNER) and the 1936 film "Night Mail". -The Southern Railway was the fourth company with a rather bland name which mirrored its image as a commuter transporter for London workers of all grades - especially from the stockbroker belt. This is in fact not totally true since the vast majority of internationally destined passenger traffic left Victoria for the Channels ports to France and Belgium, while intercontinental traffic to North America and the "Empire" went from Waterloo on special boat trains to Southampton. Most probably that association with the four railway companies at their zenith in the 1920s and 1930s is due to the ever widespread availability and use of film - documentaries and newsreels. Before the regrouping these were few, of poor quality, and above all with no sound. So apart from the odd image of locomotives there is little to bring back the names and the feeling of the previous companies. Such is the case that it is so pleasing that this engine depot at Warrington Central was (after being under threat for so many years) not knocked down but converted to flats. Again we have an example of the power of those names on the building - they are part of our heritage. In the 21st century we are now dealing with privatised rail companies, initially trying to evoke the pre-1923 companies but some ignoring them completely. Now that the privatisation process is settling down we know what criteria the government is using to organise the rail system, which, in one major instance, is basically one operator for each London Terminus (as they were originally built). In everyday parlance we talk about GWML (Great Western Main line) MML (Midland Main line) WCML (West Coast Main line) and ECML (East Coast Main line). With respect to the last, when the government took over the running of the line from National Express it named the operating company EAST COAST. A very simple but effective solution. If and when the company is privatised then all the operator has to do, if it so wishes, is add its name e.g First EAST COAST. That is what is done on the route to South Wales and the West - operated by First Great Western. On the other side of the country the line would be WEST COAST operated by Virgin WEST COAST. If the operator changed then it would become e.g. Arriva WEST COAST. The greatest benefit would be continuity even if the operator changed. There would be identification with the line. Probably this would not be possible on all the lines, and especially with the free access operators. Some names, though perfectly representative of the area served, presently in use might well be the property of the operators so any change to make them the title of the operation (not the operator) would have to be negotiated. The name should reflect where the line is and/or what it does. The Northern franchise should be defined better. First Capital Connect should be First Thameslink. Heathrow Connect will be folded into CROSSRAIL while Heathrow Express will stay the same, with Gatwick Express and Stansted Express being part of the main operator on their lines. These services started coming to the fore in the 1920s and 1930s and reached their zenith in the 1950s and early 1960s. After that competition from cars and the "Marples" motorways produced a decline in use resulting in government interference to reorganise the industry. many of the names of the companies had grown up over the previous 8o years before being finally put to rest.The company names reflected the geographical areas in which they operated (though some had extended way beyond that) or the names of the founders. ........ to mention just a few. The vast majority of the undertakings were grouped into two holding companies, the British Electric Traction group(BET) and Thomas Tilling. This latter grouping was nationalised in 1949 which included Bristol Motors and Eastern Coach Works (ECW). Thus Bristol Lodekkas in "Tilling Green" or "Tilling Red" with ECW bodywork were standardised vehicles for almost all the bus companies in the group. The BET bus companies used a variety of different chassis and coach builders for their fleets. Some, like Ribble, standardised on Leyland chassis, offering in the 1960s single- decker Leopards and double-decker Atlanteans with a variety of bodies, principally Northern Counties, MCW and Burlingham. London Country followed the policy of its cousin of London Transport in using AEC chassis. Other manufacturers such as GUY were predominant in such fleets as LUT. Of course, all this logical standardisation went out the window with the establishment of the National Bus Company (NBC) in January 1969. The NBC took over the interests of both conglomerates but decided upon rationalisation, reducing the big companies and extending the smaller ones. This meant that geographical areas, and their serving garages were transferred from one company to another.The resulting mix was a mish mash of vehicles according to the garages transferred. Remnants of certain companies incorporated into NBC were merged into bigger units because their main business had been taken over by the regional transport authorities. For example, SELNEC incorporated most of North Western and all of Lancashire United. Neither the name nor the livery of SELNEC or its equivalents were awe inspiring so did not help the promotion of transport by bus. Fortunately, the bus industry was not dominated by those two conglomerates. Each municipality had its own transport company (normally inherited from the original municipal tram companies - or later trolley bus companies). Here the tendency to use the transport system to paint a brighter future for the town or city came to the fore. The variety of liveries amongst the municipal transport undertakings outdid the offerings of the two conglomerates. In the North West alone the liveries of the corporation transport departments of Wallesey, Birkenhead, Southport, Bolton, Wigan, Salford, Leigh, St.Helens, Bury, Ramsbottom, Oldham, Stockport, Rochdale, Ashton-under-Lyne(which together with the less interesting Liverpool and Manchester fleets all disappeared into the Merseyside and SELNEC passenger transport authorities respectively) were astoundingly different from the big private companies, enough to provide a strong identity and subsequently loyalty. All this was lost under government decree. The whole question came to a head with the incorporation of the municipal transport companies into the regional transport authorities in the 1970s (these would become the germ of the metropolitan counties). Not much later in the 1980s the privatisation of the transport industry meant the dominance of six conglomerates - ARRIVA, GO-AHEAD, FIRST GROUP, NATIONAL EXPRESS, STAGECOACH, and TRANSDEV - which tried to take over all the private and municipal undertakings. With privatisation of bus services in the 1980s the take over of the municipalities, by the new private conglomerates, marched forward.This was, in most cases successful, with a notable exception in the Warrington Bus War of 1995. Here the the private companies tried to muscle in and take over the operations of the local municipal transport company(as they had in many other cities nationwide). The local authorities appealed to the local populace to support their municipal bus company(Warrington Borough Transport) which they did, leading to the defeat of the conglomerates. This proved to be an important case of brand loyalty. Now it is a thriving 100% owned municipal company serving the local populace(known as Network Warrington). Stagecoach East Midlands,East Scotland, Highlands, South, West,West Midlands, Wales. In the 1960s the bus companies reached an acceptance by the public which identified with the companies. They produced an image of efficiency and modernity (after so many years of austerity). Then came the growing competition from the car. This resulted in the bus industry being "re-organised" in 1969 and then later in the 1980s. The result now is a great number of companies owned by several conglomerates. Their names do not inspire any interest in them while their liveries are worse providing an all pervailing, boring and insipid colour scheme which makes one reject any attempt to board their buses. The general impression is that the bus companies have failed miserably to attract new passengers, inspire confidence, and promote interest in their services. No inspiring names, no interesting colour schemes, nothing to promote road travel, except for a bland corporate image of the owners - this is not good enough. A study done by the government gives data to indicate patronage of bus services in England. "The Role of Soft Measures in Influencing Patronage Growth and Modal Split in the Bus Market in England"
The history of aviation is dominated by national champions. The likes of Air France, Lufthansa, British Airways, KLM, Alitalia, SAS, LOT, Iberia, TAP, and so on, have been expressions of national pride and tools of foreign policy. Even though they are mostly privatised (in Europe at least) they are known as the "legacy" airlines because of the historical baggage they carry. This has proved an advantage and a disadvantage. Governments still use their airlines to further their aims. They can be subsidised in various ways such as the US practice of obliging its federal employees to fly the flag, and not with the competition. This is done by the French and German governments as well, at least. Though the skies over Europe have, supposedly, been liberalised, as have those between the EU and the USA, it is difficult if not outright impossible to fly out of airports other than those in your own country except on your own airlines. After the liberalisation of the skies between the EU and the USA Air France tried to initiate a route from London Heathrow to Los Angeles which failed and was withdrawn soon afterwards. BA´s subsidiary "Open Skies" has attempted to establish premium services from Paris Orly (and even Amsterdam) to New York (JFK & Newark) and Washington DC. It is now trying to consolidate on the Paris Orly - Newark route. Incidentally "Open Skies"(an awful cheap name not reflecting its product) was established and immediately took over a competitor from Orly called "L´Avion" (a sexier name which oozed exclusivity). Not using that latter name was perhaps BA´s error to extend the new airline´s services. The question of the right name/brand yet again. Others who have broken the mold are the LCCs (Low Cost Carriers). Ryanair(named after its founder) and Easyjet (named thus to promote the largest shareholder´s franchised "Easy" name). By aggressive marketing they have established themselves in most of the European countries. Their nearest rivals are WIZZ based in the Eastern European countries and Norwegian (which is handicapped by its narrowly focused name). Vueling is trying to extend its bases from Spain to other countries but has an uphill struggle with its name - only Spanish speakers know that its name is based on the verb "to fly" - the "...ing" part is to make it sound "....cool". In Europe and North America the legacy airlines have for a long time used their own names on feeder airlines - either their own or franchised. The chosen terms have tended to be Express, Connect,Link or Regional. Some have even set up "low cost" subsidiaries under the name Lite. Exceptions to this would be American Eagle, KLM Cityhopper, and Lufthansa CityLine. ( KLM and Lufthansa both have also, respectively, arms length subsidiaries in Transavia and Germanwings.) British Airways has two franchisees operating in Denmark and South Africa under BA´s own name. 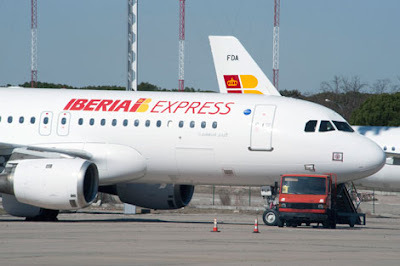 Iberia has its Regional brand flown by Air Nostrum while it is setting up Iberia Express to begin operations this Sunday (25th march 2012). All these are attempts to associate the company with the main legacy airline and look for synergies that way. The Virgin Group has stakes in three airlines, as well as many other businesses. The idea is, like the Easy Group, to lend the name and the image for a royalty. These are Virgin Atlantic, Virgin Australia, and Virgin America. They all use the marketing skills of Virgin Group chairman, Richard Branson, to promote their businesses while sharing the same corporate image, but that is where it stops. There is no other linkage between the businesses. In fact the Virgin Atlantic brand is , erroneously, promotered as a British airline whereby it could gain greater weight as a European brand with all the Virgin companies spread throughout Europe. In Asia the legacy airlines seem to want to distance themselves from their offshoots as they offer a different product. The latest additions are, Peach Aviation set up by ANA in Japan and Scoot set up by Singapore Airlines as the most notable. Qantas has been expanding into Asia(Singapore, Vietnam and Japan) with its JetStar subsidiaries/affiliates.Singapore Airlines has had less success with its partially owned Tiger Airways probably because it did not have full control. Air Asia(the image has been well known for being worn on the upper arm of the referees in English Premier league football matches) has also been around for some time expanding from its own base in Malaysia to establish subsidiaries in Thailand and Indonesia, but is yet again allied to Malaysian Airlines through cross shareholdings. To sum up names, as well as colour schemes, as well as images, are all important for the strength of a brand. They can so easily put us off flying with them or put us on their planes. This is a quotation from the periodical anna.aero dated 6th March 2012, - "Have you noticed that low cost carriers started by legacy airlines – All Nippon Airways is involved in Peach – always have the craziest names? Snowflake/SAS, Ted/United, Song/Delta, Zip/Air Canada, go/British Airways, buzz/KLM, bmibaby…hopefully that’s where the comparison ends and Peach won’t get eaten-up by competition." None of those has lasted while bmibaby has been sold and its future is most probably extinction. Names are part of brands and their images. You can promote or ruin a business according to the importance you give it. Choose carefully, define the target market, and persevere.